I was a little creative with my use of the sketch this time. I’m not sure what happened. One thing kept leading to another, and before I knew it I was more off course than I intended. But hopefully, you can see the sketch when you look at my card (just squinch up your eyes a little if you don’t — ha!). 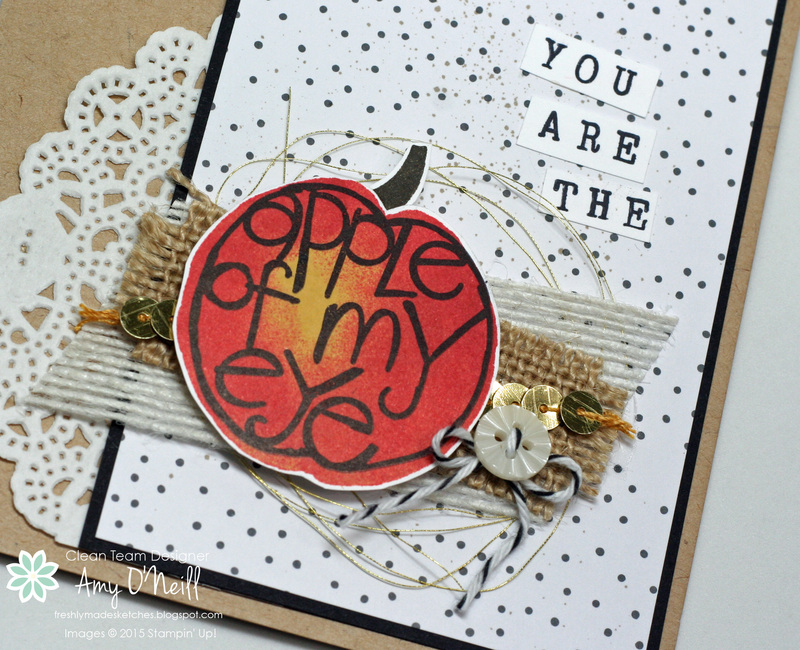 I started by inking up my apple stamp from Apple of My Eye with Hello Honey ink. I then took a sponge dauber and sponged on some Cherry Cobbler ink around the edges. The sentiment was stamped on top with Basic Black ink. I cut it out with my paper snips when finished. I used the Alphabet Rotary Stamp to stamp the “You are the” pieces. The dsp is from the Have a Cuppa dsp stack. 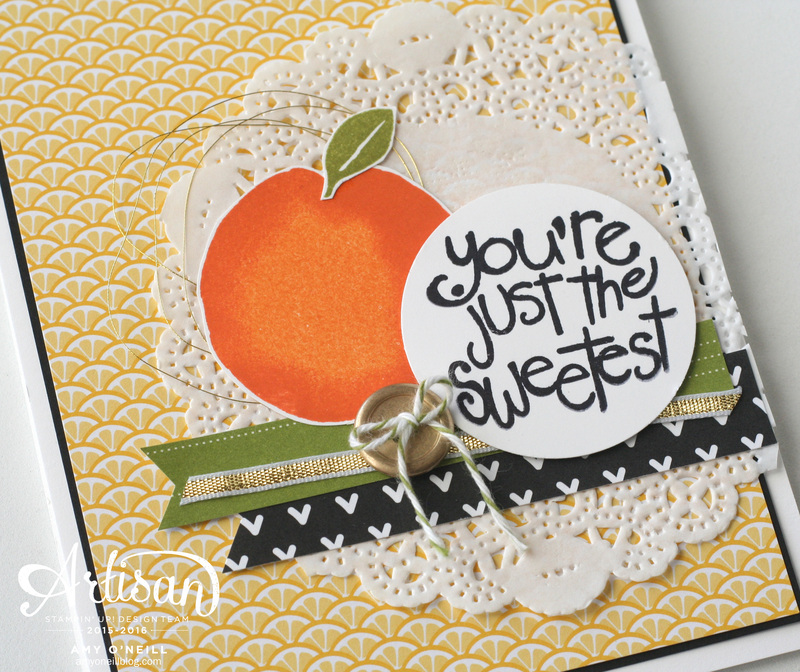 We hope you’ll join us and make your own card using the sketch. You can jump on over to the Freshly Made Sketches site to see what the design team has created for a big dose of inspiration. 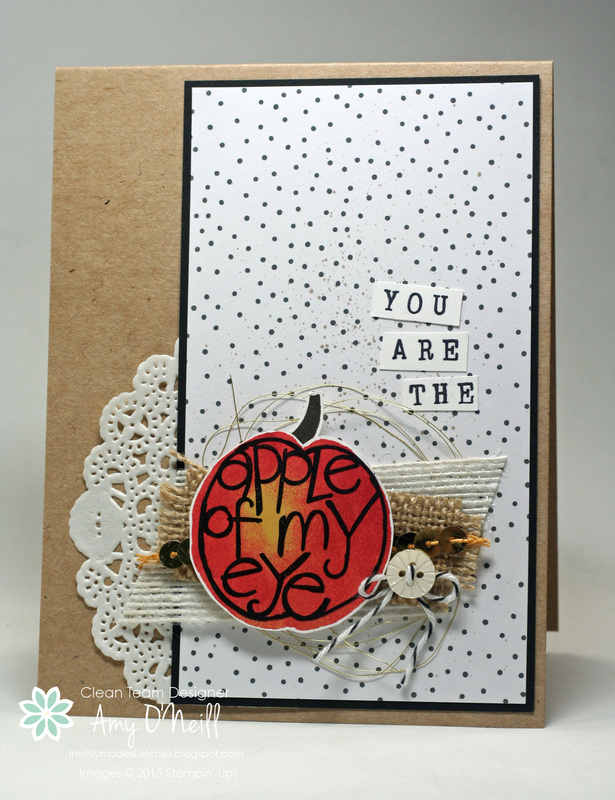 One of the stamp sets that I really loved at first sight in the Occasions catalog is the Apple of my Eye set. The images are cute and I love the sweet sentiments. I finally got a chance to play with it last week, and this is the first card I made with it. I started by inking the entire stamp with a Pumpkin Pie ink pad and then used a sponge dauber to add some Tangelo Twist ink to the edges. Very easy! I added some fun embellishments and some Have a Cuppa dsp for the background. 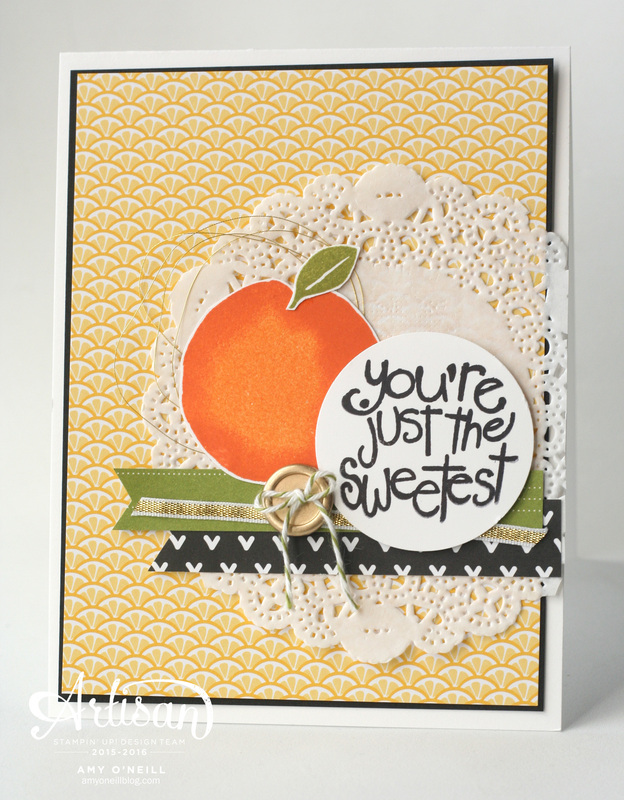 Little scraps of dsp from the Pretty Petals dsp stack and Everyday Chic dsp were used as well.